Approximately 3,200 students have applied to participate in college commencement ceremonies. Graduating Slugs are joining the ranks of illustrious UC Santa Cruz alumni during the campus's special Year of Alumni. 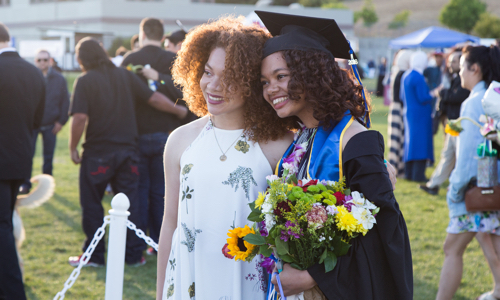 UC Santa Cruz commencement ceremonies hosted by the campus’s 10 colleges, graduate division, and Baskin School of Engineering are scheduled for Thursday, Friday, Saturday, and Sunday, June 14–17. 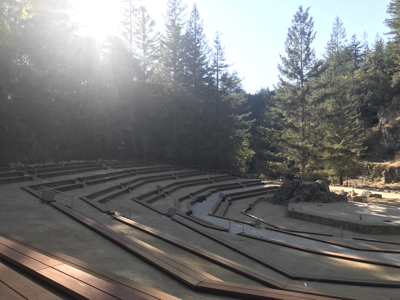 For the first time in more than a decade, exercises will be held in the newly renovated Quarry Amphitheater, as well as on the East Field. Additionally, many of the ceremonies will be live-streamed with links available on the commencement website. A complete list of commencement events including times, locations, and speakers can be found online. Other celebrations organized by individual departments and resource centers will be held June 8–17. Approximately 3,200 students have applied to participate in college commencement ceremonies. More than 5,100 UCSC students are earning undergraduate and graduate degrees for work completed during the 2017–18 academic year. A total of 4,475 students are candidates for bachelor degrees for work completed in the arts, engineering, humanities, physical and biological sciences, and social sciences. Spring candidates for bachelor degrees total 2,910, according to the UC Santa Cruz registrar’s office. Another 1,565 completed coursework and applied for their degree after the summer, fall, or winter quarters. Additionally, 180 doctorates will be awarded for the 2017–18 academic year; 83 for work completed in summer, fall, and winter quarters, and 97 to candidates who have applied for a June degree. Another 441 graduate students are eligible to receive master’s degrees; 244 have been awarded already, 197 students have applied for spring. Approximately 175 graduate students are expected to participate in the Graduate Division’s commencement ceremonies, Thursday, June 14. Sixty-five students are scheduled to complete UCSC’s education teaching credential and master’s degree program in late summer. The campus awarded nine certificates for the Science Communications program in the fall. 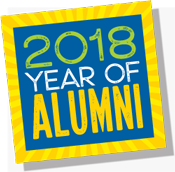 The 10 colleges, the graduate division, and the Baskin School of Engineering have invited an array of speakers to share advice and wisdom with soon-to-be alumni. Baskin School of Engineering—Christopher Seiwald, an angel investor and philanthropist who ran Perforce Software for 20 years before it was acquired in 2016. Porter College—Ziggy Rendler-Bregman (BA ’73, aesthetic studies), a poet, artist, and a member of the college’s first graduating class. Oakes College—Keith Curry (Oakes ’99, American studies), is the president and CEO of Compton College and the Compton Community College District. Cowell College—Catherine Carlstroem (BA ’84, literature, Ph.D. American literature), a lecturer in the Humanities Division for more than 25 years. Rachel Carson College—Sue Carter, recently appointed as provost of Rachel Carson College, and professor of physics. She is currently serving as associate dean of Graduate Studies and director for the Center for Innovation and Entrepreneurial Development. Kresge College—Donna Haraway, distinguished professor emerita in the departments of History of Consciousness and Feminist Studies. Merrill College—Mufaddal Ezzy, (BA ’03, American studies) Google’s California manager for public policy and government relations. Crown College—David Brin, a scientist, bestselling author, and tech-consultant best-known for the novel The Postman. College Nine—Tess Bridgeman, a lecturer at Stanford University, who served as special assistant to President Barack Obama and deputy legal adviser to the National Security Council. Stevenson College—Bev Crair (BA ’83, computer science and mathematics), vice president of Lenovo’s Data Center Group Product Development and Quality team. College Ten—MariaElena De La Garza, executive director of the Community Action Board in Watsonville, a nonprofit with decades of work combatting poverty, violence, food insecurity, and homelessness.